Hello! If you read our last post, you’ll know that we talked about the fairly new Impossible Film. 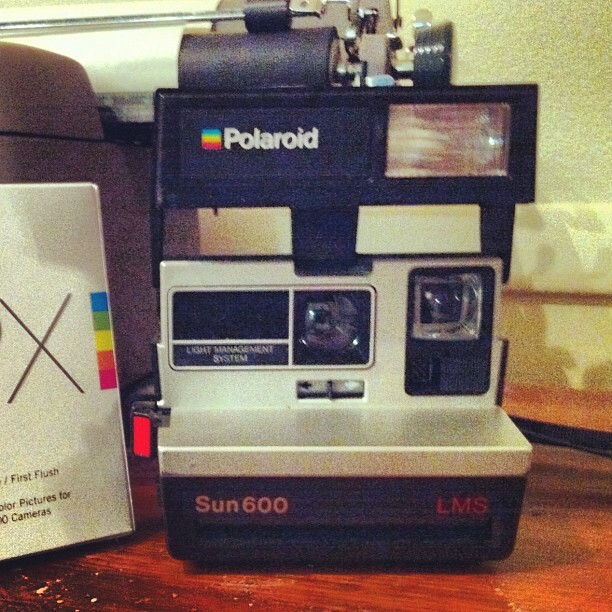 Now, Polaroid was a vintage camera loved by many back in it’s prime. When Polaroid decided to discontinue the film for it, many cameras were left sitting neglected in the dust. When I heard that Impossible Film was a remake of the old Polaroid kind, I immediately wanted to try it out. Who doesn’t love that crappy instant film feel? The resolution was never great, it was always about having your photo developed within the moment of taking it. 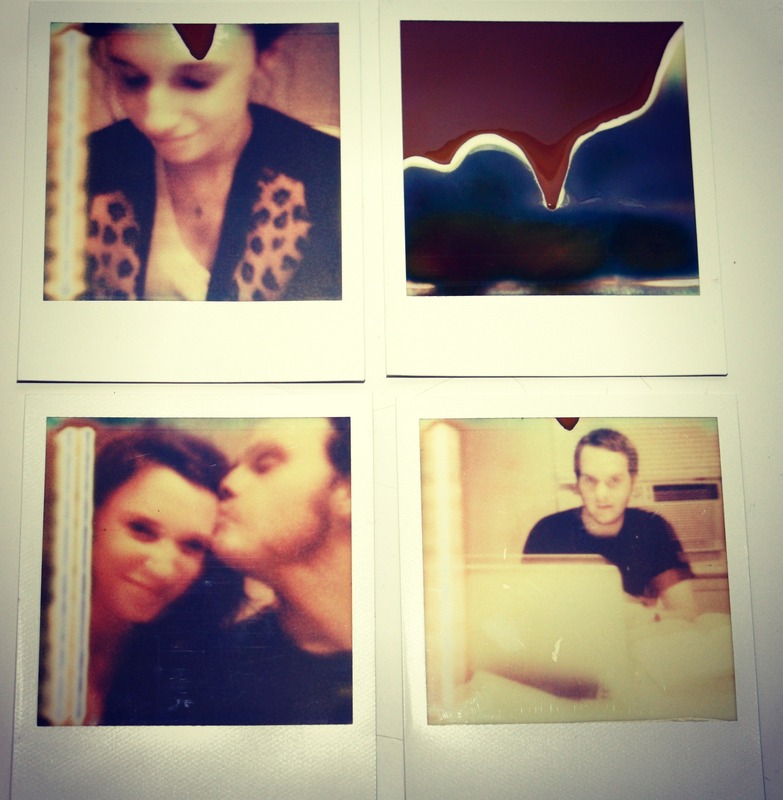 We wanted some instant photos, so we tried out the Impossible Film. First we went to Tech Lab to buy it. The price tag was pretty hefty, $22 for EIGHT exposures. To put that in perspective, the roll of Kodak Portra film that I have used to almost all of the film photos I have posted thus far is $7 for 36 EXPOSURES. You pay for convenience right? Not quite. The people at Impossible are the ONLY PEOPLE IN THE WORLD right now that have even close to what the formula is to make the original Polaroid instant photo. So, having that advantage definitely gives them the upper hand when choosing to rob us in exchange for some low quality, instant film. We tried to keep our high-horses in the stables and pay the price anyways. Second, we had to have a camera to be compatible. Good news! Impossible offers film for almost ALL Polaroid models. We decided to go with the Polaroid Sun600, an old pop-up model from the 90’s. We found this one in Andrew’s parent’s house. Chances are your parents have one lying around somewhere. Want one? Scour flea markets and yard sales. The battery is IN THE FILM CARTRIDGE, so chances are the camera will still probably work. We loaded, we photographed and we ended up with the most hipster-tastic, indie album cover worthy photos ever. 4/8 Polaroids from the pack of PX600 we tested out. Now, these are by NO MEANS top quality. Looks like we had a little light leak on the side of the camera by the sights of that bright streak down the side. When the photos come out, you have to immediately shield them from light and leave them face-down for FORTY MINUTES. No shaking it like a Polaroid picture here. The top right photo was an “oops” that happened because the black cardboard piece covering the film (also the thing that is giving instructions) seen on the loading photograph, would not allow the photos to eject. I had to go into the dark bathroom, remove the cardboard piece, and then re-insert the cartridge. After doing this, the camera ejected TWO photos at once that had been partially exposed. I doubt I was met to do this since the instructions said nothing about removing it. I researched the issue and sometimes you will get stuck with an “extra sticky film cartridge” Go figure. Bottom line: Cool, neat instant photos but not worth the $22 price tag. Original Polaroid film was much better quality and can still be purchased on sites like Amazon.com for ridiculous prices from people who had the foresight to keep the cartridges in great condition. If you feel like dropping the cash, go for it. I will admit it was still fun to see how the photos would develop. ← Shake it Like a Polaroid Picture! this is such a cool concept, but the risk of the photos not coming out well is slightly turning me off. i think might try it though! Do it! Maybe you will get better results? I am going to try the remaining four outside. The ones on the Impossible website look like they were done outside as well. I took one and it didn’t come out but I feel like I should give everything a second chance. Very good info. I never knew the battery was inside the film cartridge. Luv the high horses reference. Your posts are knowledgeable as well as entertaining. I absolutely enjoy every reading moment. To be honest neither did I. And I’m glad! I try to pick things that can be tested out, I read a handful of blog reviews on the film but the results spanned across a huge variable scale so I decided the only way to know for sure was to test it myself! Great review! 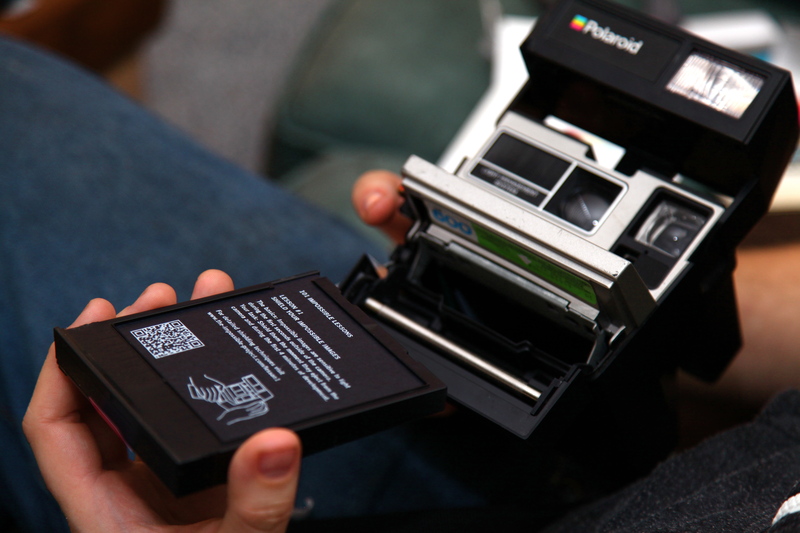 Fantastic description on the usage of a Polaroid, though I agree not so sharp photos LOL…..Interesting, bringing back days gone by….I thoroughly enjoy reading your blog! I’m glad :), that is the reason I began this blog, to bring back the memories that old cameras created. Not just the photos per se but the actual usage of the cameras. I think I might give it a second go despite my hesitations! I’d say go for it! Maybe I can locate a different Polaroid for you….hopefully the film will be easy to find and not too expensive….. I know you will be experiencing a whole new world with old technology…..Best of luck. Great! I found some old polaroids. Probably my favorite form of photography/ camera ever. Me too! I wish Polaroid still produced the film! It’s crazy to me that they completely stopped.